We went up north to Penang! 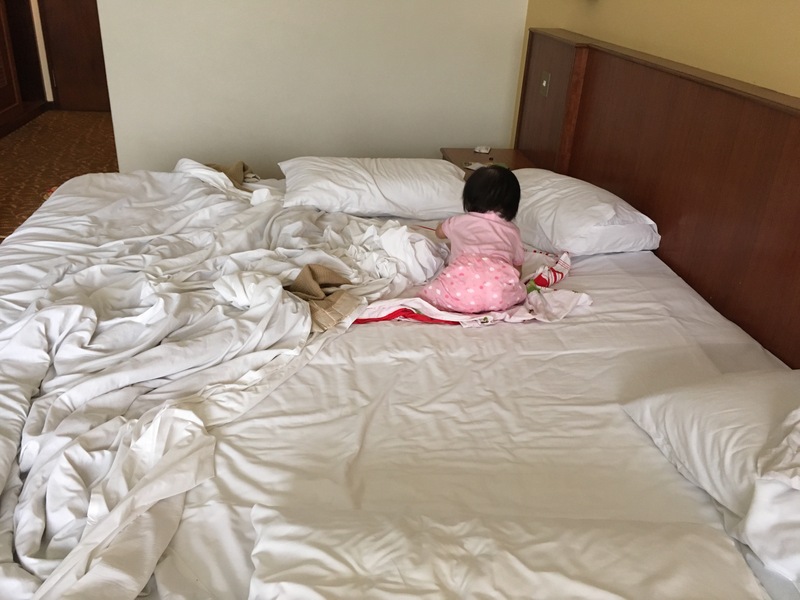 Conquering the giant bed…. all mine! 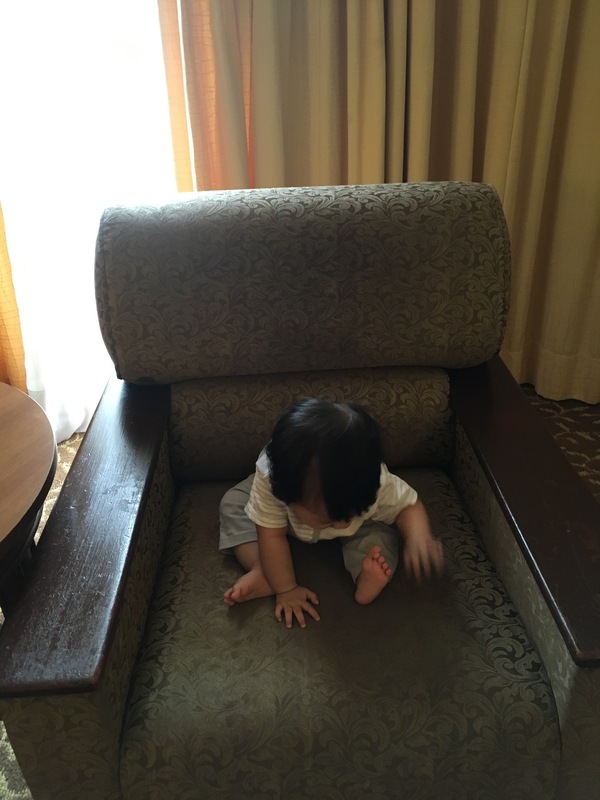 Since the weather is super hot in Penang, I spent a day alone with her in the hotel while the others went out sightseeing. 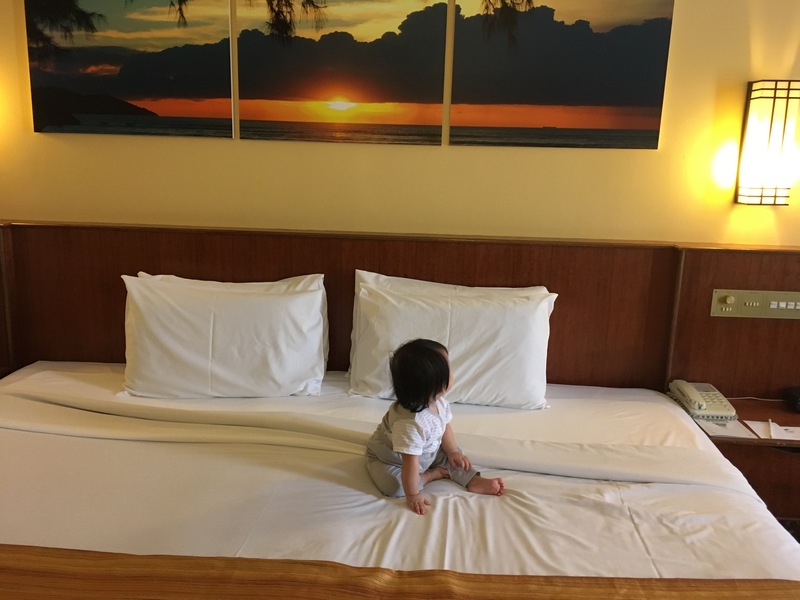 We had walks at the beach, walks around the hotel, and enjoying the soft bed and aircond in the room. Wow look at the mess I’ve made! 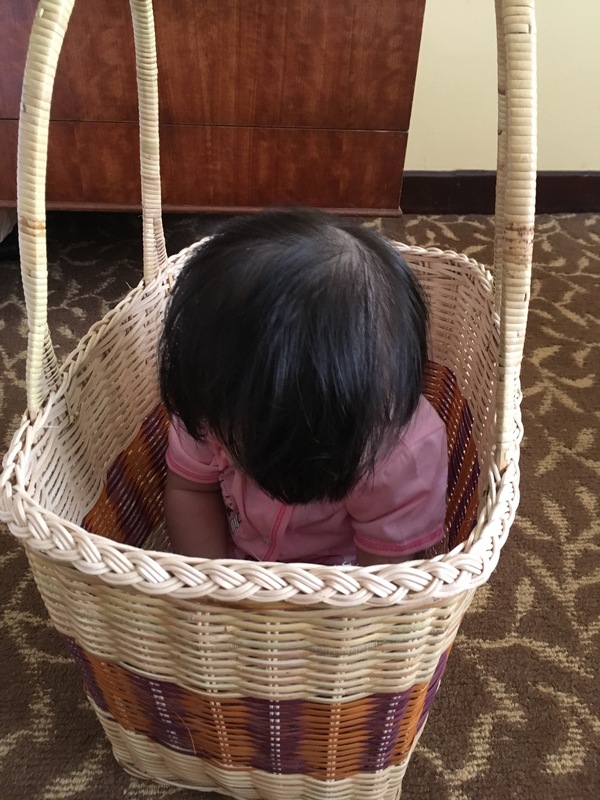 Let’s go for a picnic, mom!! Playing is such hard work, I’m tired now…. 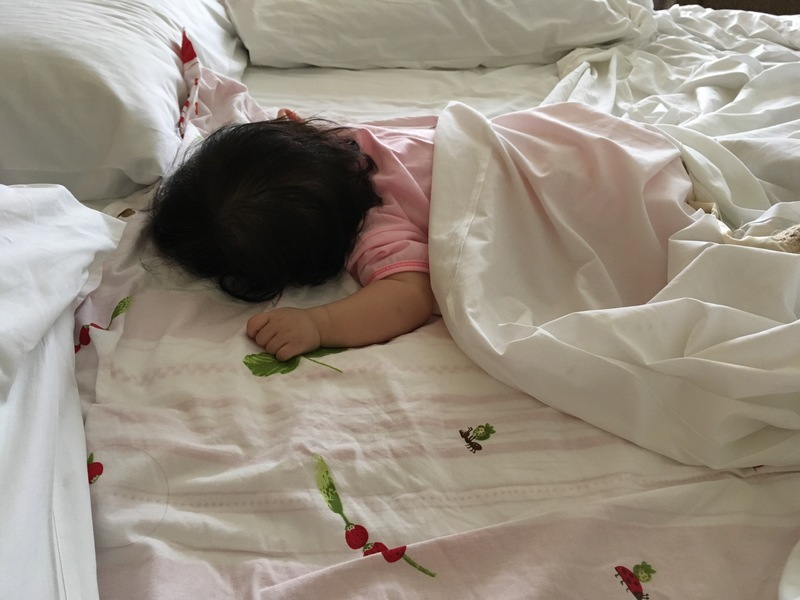 Let’s take a nap first…. before anyone gets cranky! My first time at the beach! T enjoyed the beach, but she did not really enjoy swimming in the hotel pool. 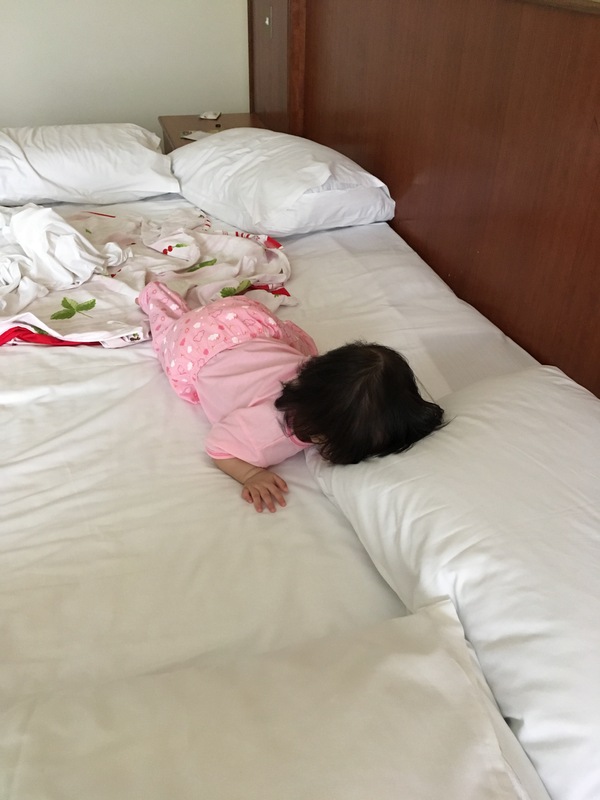 Probably she was too tired and sleepy as she had her poker face on the whole time in the pool and fell asleep as soon as we got back to the hotel room and showered her. Felt a tad disappointed because I thought she would love splashing around in the pool. Overall, it was a good trip, despite T crying all the way in the car during the journey to Penang. But she slept through the journey back from Penang. It’s not really convenient to bring her out for meals and sightseeing though (hot weather and lack of places to nurse). The hotel however, is quite kid friendly.